As a new charity we’re initially looking to support two key projects. Click the headings below to read about them. Sensory equipment is designed specifically to support the development of the senses - like touch, hearing and sight - through cool things like special lighting, music, and tactile objects. While all children in a clinic or hospital might benefit from additional sensory support, for those with developmental delay, mobility issues, or visual/hearing impairment this might make their visit so much more pleasant. Very few children in Cambodia, if any, have access to these sorts of facilities. For some children with developmental delay a sensory room could mean the difference between long term disabilities and mobility issues, and good health and happiness. SicKids is fund raising to build a series of facilities - called a SicKids Sensory Space - in both the North West of England and Cambodia. This project aims to award grants to medical professionals working with children and young people in the North West of England and Cambodia, to travel and spend time learning from the health and social care teams in the reciprocal country. The outcomes of this project include improved medical knowledge for all concerned, and enhanced medical care offered to children and young people. As of September 2017, SicKids has awarded four grants, and has already seen a significant positive impact on children and young people in Cambodia, including better asthma control, improved development, and the launch of new guidelines for managing paediatric conditions. SicKids’ grant recipients have also provided First Aid training to over 60 Cambodian community workers, opened a health education and resource centre, and delivered the first known workshop on baby massage in Cambodia. 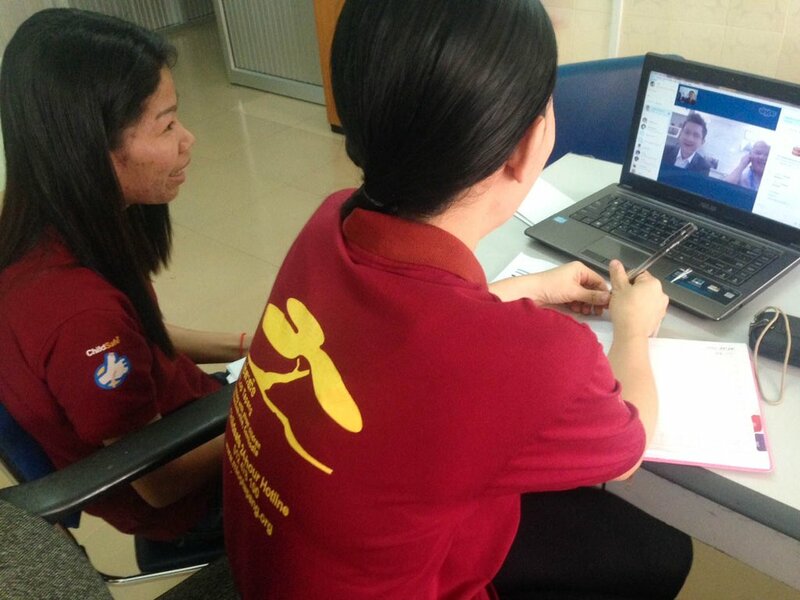 In 2015, the University of Salford, The Pennine Acute Hospitals NHS Trust and M’Lop Tapang launched a partnership to improve the health and social care of Cambodian children and young people. This includes twice-yearly visits by our Founder, Andrew, who undertakes medical clinics in the health centre in Sihanoukville, as well as field work in the surrounding jungles and villages. In addition to advancing health care to children and young people in Cambodia, we have a great opportunity for our UK health and/or social care professionals to gain valuable experience, professional development and enhanced clinical, organisational and managerial skills which are of great benefit to their patients back in the UK. If you’d like to support our aims to provide sensory facilities for children in the North West of England and Cambodia, or to help us continue to provide medical outreach and development opportunities for medical professionals, please click here.